Florus and Elias in Dhaka Haj Camp Ashkona. Discussions with Shitol Kumar Das and Rasel, two engineer / architects about RAJUK, its failure controlling effectively the building safety and general safety of constructions. As was showed by the Rana Plaza Bhaban Collapse 24 April 2013. Connection with RAJUK’s lacking Archives & Records Management. Discussion with Azizul Hakim Suzan, Noakhali University for ICT and TeleCommunication on the relationship between telecommnication and Archives & Records Management. discussed with UNO Md Abu Alam the archives and records keeping both hard copy and digital documents. Computer operator Shahidul Abadin took experience as UISC in Ioara Union Parishad and in before Pharmaceutical Company job experience. The relevance of Digital knowledge and skills on producing AND management of documents / archives. Discussion with Parimal and Anando, Jacob Corraya’s brother, about the clerical (Roman Catholic) system of baptism registration. Similarities with the GOVT Birth registration. building up of Archives & Records Management in Sardah BPA. 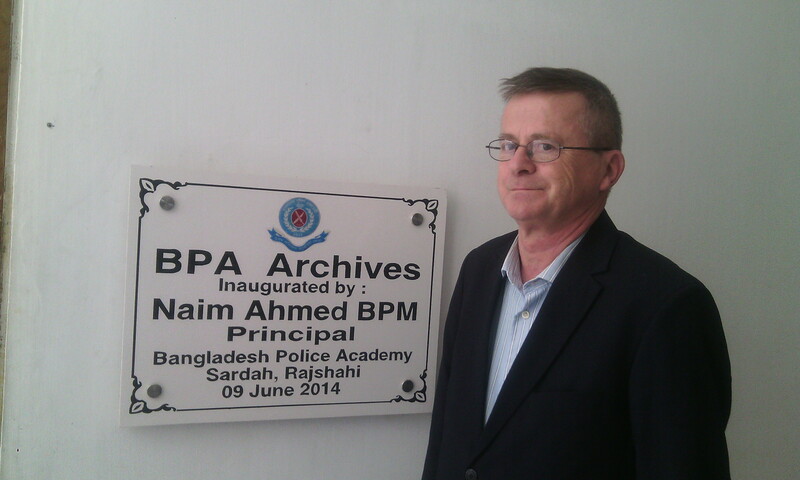 Lezar already initiated Central Archives Repository BPA, opened by BPA Principal Naim Ahmed 9 june International Archives Day. 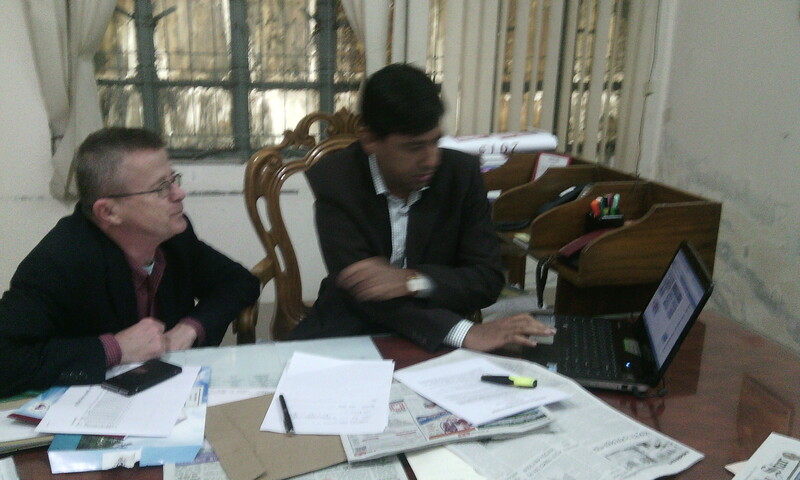 Lezar and Sumon developed Digital Archives Management Software. In BPA 5 meetings with Principal, SP’s, Clerical staffs on record keeping and on development of Dgital Archives Management sofware. Also SEE the attachment! Visit to Sardah Degree College discussing their archives, created since establishment of this College in 1972, 8 almiras, about 30 m’ size. Local Archives, Right To Information (RTI) Network Groups building and strenthening. Visits to Bogra, Birampur, Dinajpur, Kishoreganj, Pakundia, Jamalpur, Rajarhat, Kurigram, Nilphamari, Rajshahi, Natore, Gazipur, Chowrasta, Khulna, Parchuram Feni, Comilla. Local Government archives management & RTI; Schools and colleges; hospitals & Health Care centers. 24 December 2014: 16.55 PM arrival Dhaka International Airport, Shitol collects Florus. Florus wil stay in Shitol’s place nearby Airport during night of 24 and 25 December. 25 – 28 December 2014: Leo Corraya collects me 25 December and Leo and I go together to Bhobanipur, UP Ioara, Upazela Baraigram, District Natore. Or: I visit Yasin and Tania. 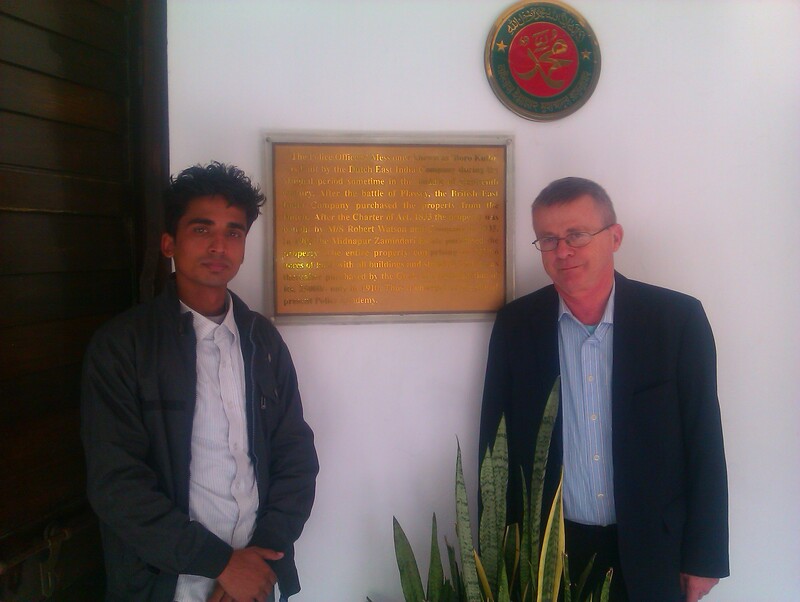 29 – 31 December 2014 & 1 – 2 January 2015: Rajshahi, visit professor Mahabub in Kazla Gate see his Heritage Archives (HABH) and University Rajshahi, History Department and Information Science & Library Management Department. 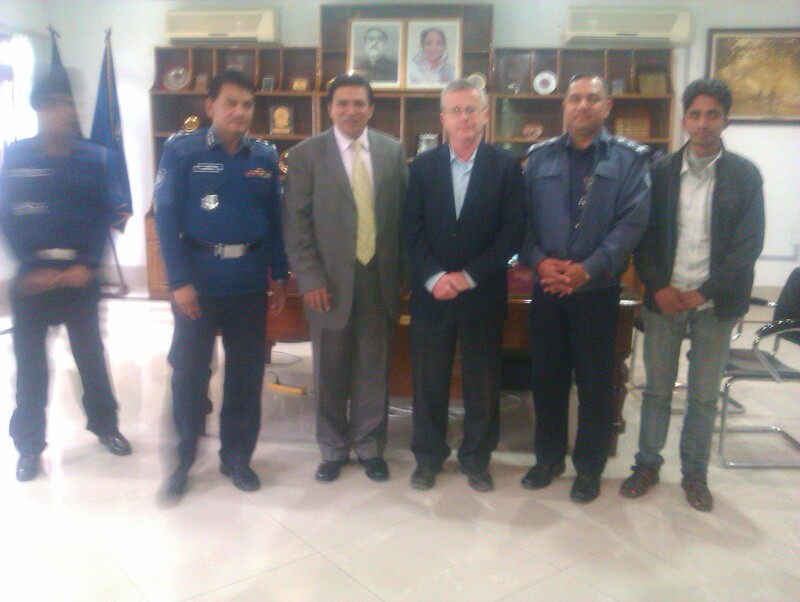 Visit Sardah B’desh Police Academy (SBPA), its Archives Installing Project, Principal Nayeem Ahmed, mr Lezar, SP Selim. 3 – 6 January: Birampur meeting with Nurul, Alamgir Prothom Alo, UP Birampur, College, Rony, Dipto; Dinajpur UP, Zia Heart Hospital Minnatullah. 7 – 9 January: Rangpur Public Administration and Sociology Departments of Begun Rokeja University Rangpur (BRUR). 10 – 13 January: Rajarhat / Kurigram, Tofael, Elias Kanchon Mir Ismael Hossain Degree College and UP’s archives. 13 – 17 January: Bogra, Sobus, Ghalid, TEER, Shitol, Tusar Kaipara, Sathi, Topu. 17 – 20 January: Jamalpur, Nayeem, Moushumi, Fulon; Meher Ali, Masuma, Ataur. 22 – 24 January: Dhaka National Aarchives Bangladesh (NAB), Uttara, International University of Business, Agriculture & Techonology (IUBAT), Shawon Shampa in Chewrapara. 25 January: 5.30 PM arrival Sigfried at Dhaka International Airport. 26 – 27 January: Kishoreganj. 27 – 28 January: Pakundia. 28 – 29 January: Nurundi, Shalanka. 30 January: Return to Dhaka. 31 January: Dhaka Uttara IUBAT ICARM 2015 Conference. 31 January – 1 February: Dhaka, Sigfried, Florus visit Rotary Greater Dhaka, NAB visit director Wadud & staffs AliAkbar, Elias Miah. 2 – 4 February: Nilphamari or: Rajarhat / Kurigram: Mir Ismael College Anamul, Tofael, Elias Kanchon: archives and RTI Good Governance training. 7 February: Dhaka, Opsonin Sharifuddin, Archives Training BarmSociety. 8 – 10 February: Dhaka IUBAT Uttara, NAB, Danmondhi Mahtab / Shilpa “Zeal View”; Narsingdhi Local Archives Work, Elias Miah, Prothom Alo FAB archives training, Bondhushova febr. archives training. 10 February: 6.30 PM Sigfried Janzing Departure to Netherlands. 10 – 12 February: Florus meets Samsur Rahman Tuhin; Shabuj Ifteqar & Rita, Shawon & Shampa. 12 – 13 February: Shafiq Gazipur, Rasel Rana, Chowrasta, Suzan, Hakim. 14 – 17 February: Habiganj, Arif Asad, Sobuj, Nazrul. 18 – 20 February: Moulvi Bazar, Tea estate, Himel. 21 – 23 February: Feni Parchuram, Shahin Abu Mokeram Khondaker. 24 – 26 February: Khulna, dr Mujib, Mrs Muslima, Dr Gazi Mizanur Apu. 27 February: Florus departure to Netherlands.